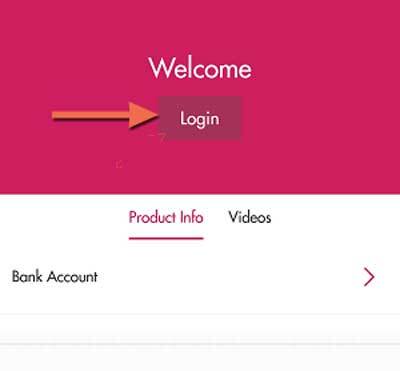 How to Register Axis mobile banking in First Time User, Hello dosto kya aapka account axis bank me hai, aur aap Axis mobile baking activate/register karna chahte hai. To iss article ko pura padhe yaha mai aapko batane jaraha hun ke fund transfer, balance inquiry, mini statement, mobile recharge etc.. ke liye Axis mobile baking activate kaise kar sake hai pure details ke sath Hindi/Urdu me. Private banking sector me Axis Bank sabhi bank ka leader hai. 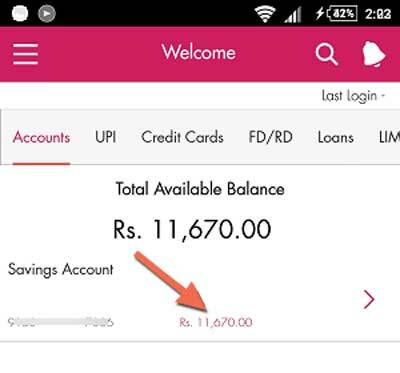 aur iski sakha har shahar me mojud hai, agar aapne abhi abhi apna account axis bank me khola hai to aap aasani se mobile banking aur internet baking online activate register kar sakte hai. Uske liye nahi to aapko bank branch me jakar mobile baking application dena hoga ye kam aap kuch minutes me apne smartphone se online aasani se kar sakte hai. Axis banking me aapko kya feature milte hai uske bare me jan lete hai. Personalize your account details and payee list by adding an image for them (from Facebook, photo gallery or by taking a picture). 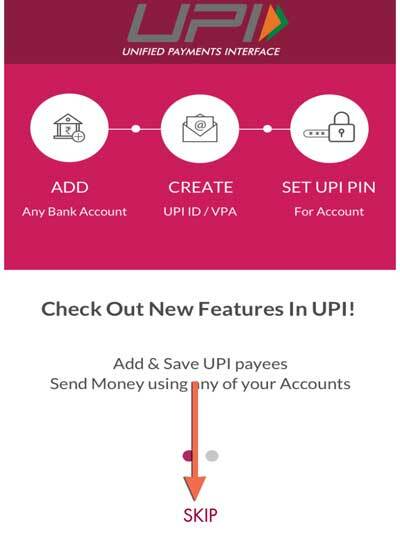 BHIM Axis Pay Unified Payment Interface (UPI) Create UPI id, Add and Save UPI Payees, Send money and Receive money. Axis Mobile Banking Activate Karne Ke Liye kya Chahye? 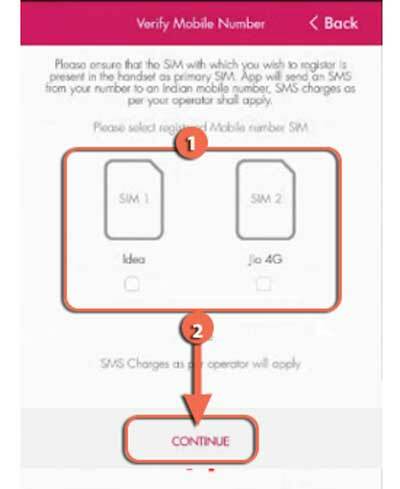 Mobile banking Registration karne ke liye aapke pass ye sab chij hona chahye. agar in mese koi bhi chij aapke pass nahi hai to aap Mobile Banking Activate nahi kar sakte hai. 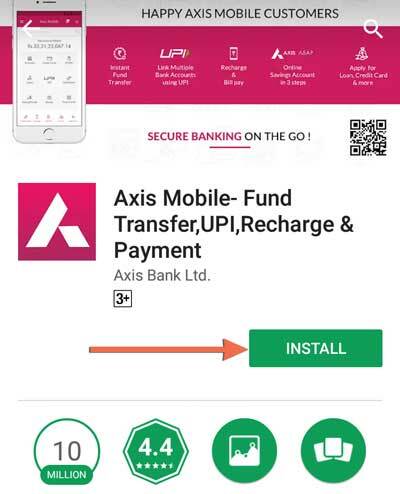 Dosto post thoda lamba hai is liye mai aapka jada time nahi lunga isliye apne asal topic par chalte hai aur jante hai ke First time user Axis mobile banking activate kaise kar sakte hai. 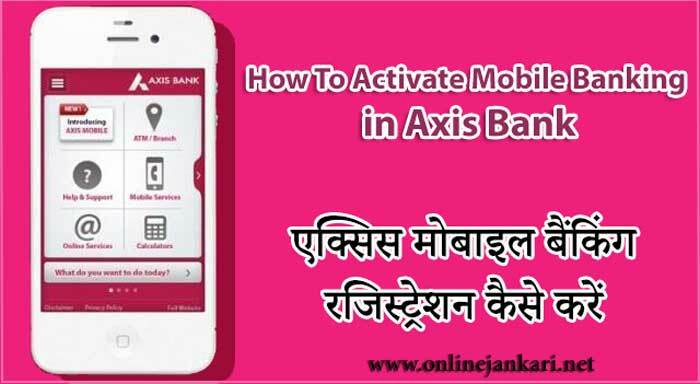 Axis Bank Mobile Banking Kaise Activate Kare. ye janne ke liye niche bataye jarahe step ko sahi se follow kare. 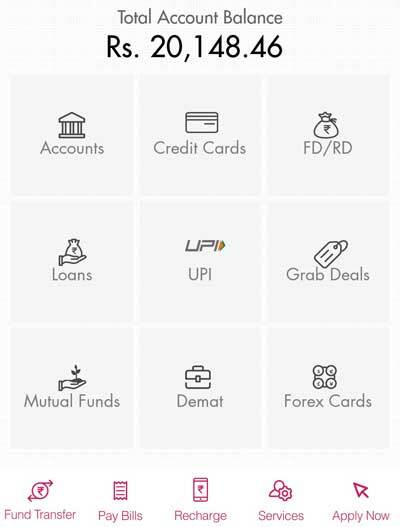 Sabse pahle aap apne smart phone ke apps application me jakar play store open kare aur search kare Axis Mobileuske bad Axis Mobile Fund transfer, UPI, Recharge & Paymentapp Application ko apne mobile me install kare. Axis Mobile app install ho jane ke bad application ko open kare 1st screen me kuch feature option show hoga Check out new features in UPI! isse Skip kare. 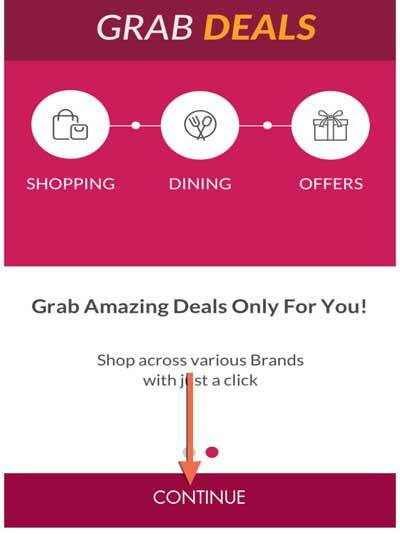 Skip karne ke bad next screen meGrab Amazing Deals only for You Shop across various brand with just a click etc.. bas aap CONTINUE tab par click kare. Continue karne ke bad next screen me Login karne ka Option ajayega Login tab par click kare. Login tab par click karne ke bad ab aapko mobile number verify karne ke liye kaha jayega, agar aapke smartphone me 2 sim card lage hai to Jis sim card number se Axis bank account registered hai, vo mobile number select karke continue tab par click kare. 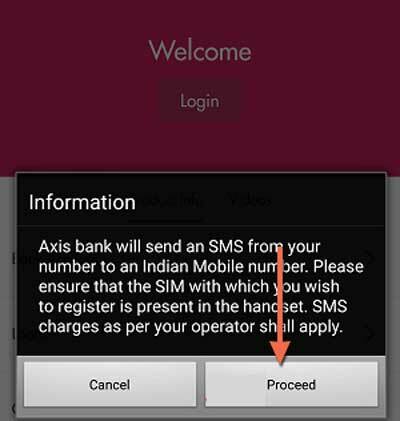 Axis bank account Register mobile number select karke Continue karne ke bad Message Send karne ka Notification show hoga, yani aapko apna Registered Mobile number verify karna hoga. Mobile number verify karne ke liye aapke mobile balance me se Rs/-2 katega, yani aapke mobile number me kamse Rs/-2 balance available hona jaruri hai. then Proceed tab par click kare. Proceed tab par click karne ke bad aapke Mobile balance me se 2 Rupe cut jayenge aur aapka mobile verify ho jayega, Register mobile number verification ho jane ke bad ab aapko Apna name dalna hai, Note:- Bank acount me jo Name hai same wahi name dalna hai. Enter Your name: Apna bank account name dale. I agree to the terms & conditions ko√ Tick mark kare. Continue tab par click kare. 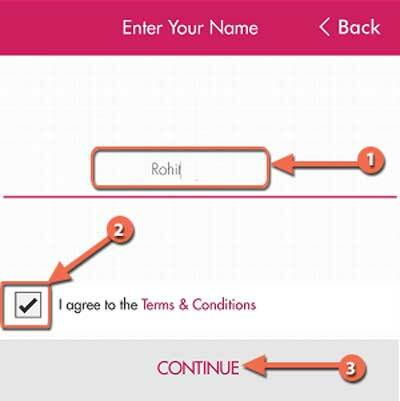 Name enter karke continue karne ke bad ab aapko Create Your mPIN karne ke liye kaha jayega, mPIN aapke axis mobile banking ka login password hai. Jab bhi aap Axis mobile apps me login, Add Payee and Fund Transfer karna chahenge to aapko mPIN dalna hoga. Please enter your 6 digit mPIN: 6 digit ka pin number dale. 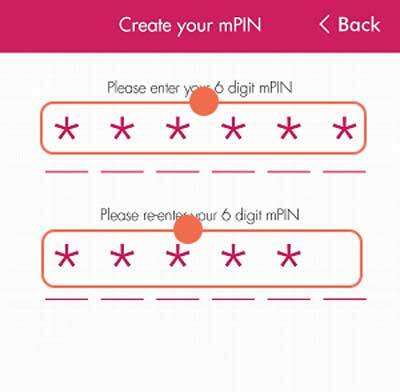 Please re-enter your mPIN: dobara 6 digit same pin number dale. mPIN create ker lene ke bad Congratulation aapne successfully Axis mobile baking register kar liya hai. ab aapke screen par mobile banking ko kaise use kiya jata hai etc.. ka options show hoga aap sabhi Steps ko Skip karke apne Account balance tab par click kare. 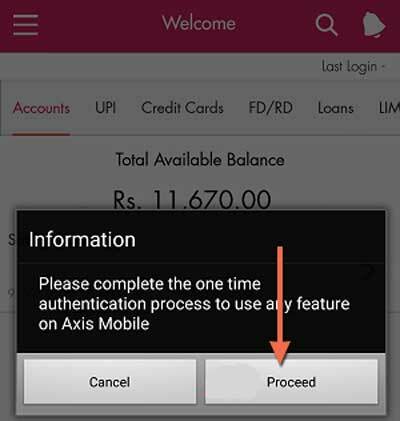 Account balance tab par click karne ke bad ek information popup open hoga jisme Authentication complete karne ke liye kaha jayega, Please complete the one time authentication process to use any feature on Axis mobile. then Proceed tab par click kare. Proceed tab par click karne ke bad ab agar aapke pass Internet banking activate hai to aap apna Axis net banking user id aur password dal kar login karle. 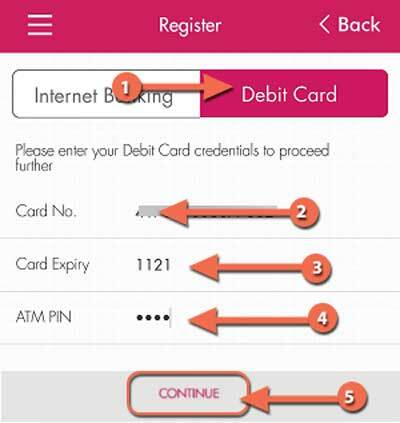 ya fir Debit card se register karke axis mobile banking ka full feature use karne ki kirya puri kare. Card No. ATM/Debit card number dale. Card Expiry: ATM Debit card ka Expiry month aur Year dale. ATM PIN: 4 digit ATM pin code dale. Sab sahi sahi dalne ke bad Continue Tab par click kare. Congratulation Net banking user id and password ya ATM/Debit card details dal kar continue karne ke bad aapne Authentication Process complete karli hai ab aap Axis bank mobile banking ka full feature use kar sakte hai. Authentication complete kar lene ke bad beneficiary payee add karne aur Fund transfer karne ke liye aap hamari ye post padhe. I hope ke aapko ye jankari aapko pasand aayi ho, agar aapka koi sawal hai to comment karke jarur puche, aur dusri jankari ke liye onlinejankari.net blog par visit karte rahe. Online Jankari Blog par bahut sari jankari di jati hai Hindi/Urdu me.